If you dread every minute of the time you spend on accounting, you should know how QuickBooks Online can change your outlook. · What your total expenses for this quarter are? · Whether or not your business is profitable as of today? · How much you’ve sold every month this year? · Which invoices are overdue? If you’re using QuickBooks Online, you can get answers to all those questions—and more—in the time it takes you to sign on to the website. That’s not an exaggeration. The first thing QuickBooks Online displays is what’s called its Dashboard. This is the site’s home page, which contains an array of charts and account balances that provide a quick overview of your finances. Click on an element here—say, a checking account balance—and you’ll be able to drill down and see the details behind it (in this case, an online account register). Click on the Expense graph, and a transaction report opens. QuickBooks Online is not one-size-fits-all. Its setup tools help you customize it to meet your own company’s needs. · Using the provided setup tools to customize the site. · Connecting QuickBooks Online to your bank and credit card company websites so you can work with transactions. · Creating records for your customers, vendors, and the products and services you sell (you’ll be able to add new ones as your business grows). 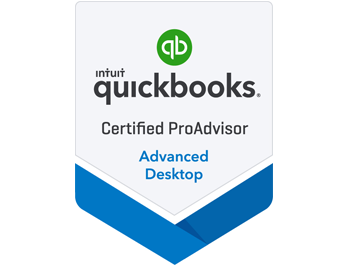 · Learning about QuickBooks Online’s pre-built reports. · Familiarizing yourself with the site’s workflow. 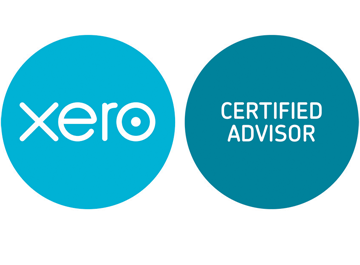 · Making the transition from your current accounting system. Get paid faster. You can sign up with a payment processor to accept credit cards and direct bank withdrawals, which can speed up your customers’ responses to invoices. You’ll also be able to accept payments when you’re out of the office on your mobile devices. Minimize errors. Once you enter data, QuickBooks Online remembers it. No more duplicate data entry that can cause costly mistakes. Find any detail in seconds. QuickBooks Online has powerful search tools that allow you to find what you’re looking for quickly. Better service customers. Because your customer profiles include transaction histories, you’ll be able to deal with questions and problems quickly and accurately. Bill time as well as invoice products. QuickBooks Online supports sales of time-based services with capable time-tracking tools. Improve your customers’ and vendors’ perception of you. Your business associates will know that you’re using state-of-the-art technology by the forms you share and the customer service you provide. Save money and time. It does take some time to make the transition to QuickBooks Online. But you’ll quickly make that up with the hours you’ll save on accounting tasks, and be able to concentrate on tasks that improve your bottom line. Be prepared to grow. Because all of your financial data is organized and easily accessible, you’ll be able to quickly generate reports that help you plan for a more profitable future. Banks and investors will need some of these if you decide to seek financing. Although you may do the bulk of your accounting work on your desktop or laptop, you’ll have access to many of the site’s features on your smartphone. Your home page displays both an abbreviated version of your browser-based dashboard and a list of recent transactions. You can view, edit, and build new customer, vendor, and product or service records. Snap a photo of a receipt to document an expense and look up or create invoices, estimates, and sales receipts. Record payments, view critical reports, and add notes. Of course, your mobile data is always synchronized with the site itself. QuickBooks Online was designed for small businesspeople, not accountants. But it includes features that are best used in conjunction with our consulting services, like advanced reports, payroll, and the Chart of Accounts. In fact, the site makes it easy for us to have access to your data so we have the ability to monitor and troubleshoot. 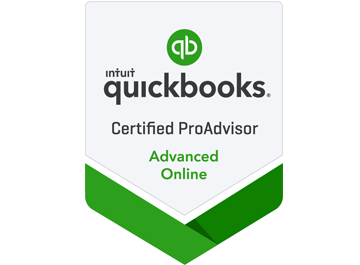 We’ve helped countless sole proprietors and small businesses move their accounting operations to QuickBooks Online, and we’ve seen the difference it’s made in their productivity as well as their attitude toward financial management. Contact us, and we’ll be happy to do the same for you. Contact us soon to set up an initial consultation.